Spring 2019 TOP Soccer Dates will be April 25th, May 2nd, and May 9th. We hope to see you there!!! Join us for some fun filled games of soccer! 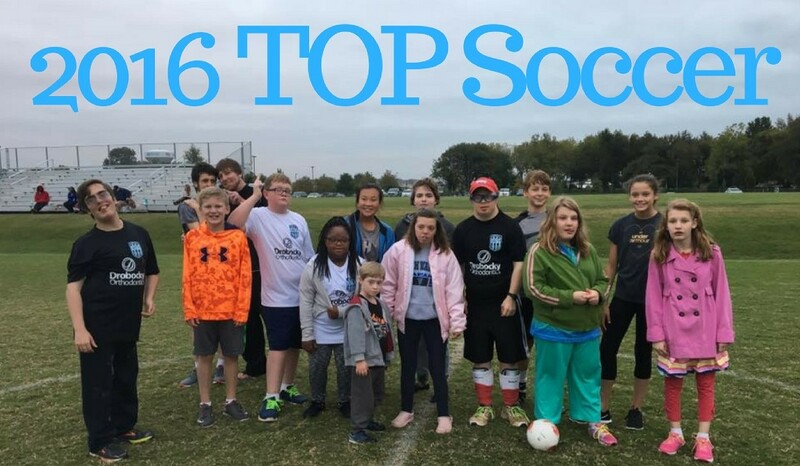 The goal of TOP Soccer is to provide opportunities to athletes with physical and/or mental disabilities to play soccer. This is a time for young athletes to have fun with players of similar abilities. TOP Soccer is for players aged 5 and up! No prior soccer experience is necessary. Players will be supervised by “buddies” During each session, players can play on teams or individually with a buddy. We try to cater to all needs to make TOP Soccer fun for everyone! The Spring 2019 Season will begin the April 25th! Games are played at Lovers Lane Soccer Complex! Participants are welcome to come even if they can’t make all the dates. All sessions will be from 5:30-6:30 pm. April 25th, May 2nd, and May 9th. Rain out make up date: May 16th. There is NO COST to TOP Soccer Players--Just come out and have fun!